Loyal readers I apologize for being out last week. I had some business to take care of but “Recruiting With Ross” is back for another weekly edition. I’ll touch on the latest commitments, decommitments and recruiting news in a quick hitters section at the end of this article. 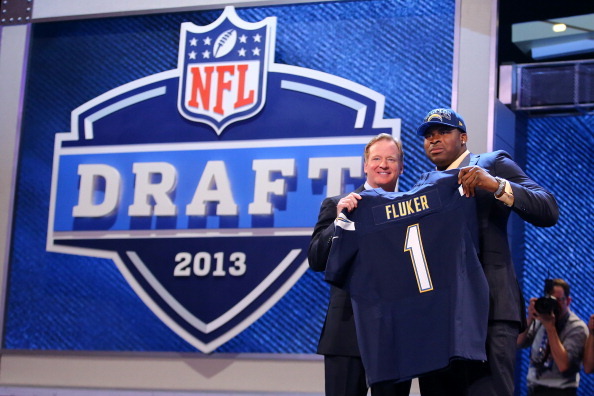 Today I am going to talk about a hot topic in the recruiting world of college football. The first Wednesday in February has produced as much excitement and drama in recent years as the season itself. 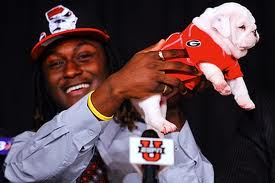 Isaiah Crowell brought bulldog puppies to his announcement. Cyrus Kouandijo announced his plans to sign with Auburn on ESPN only to fax his Letter of Intent (LOI) to Alabama hours later. Last year Byron Cowart’s coach refused to fax over his paperwork that turned into a battle of he said she said that ended in Cowart going to the school he committed to and Auburn landing the #1 player in only a couple of months. I’m of course talking about National Signing Day. But what if there was another, earlier Signing Day? That’s today’s topic on this week’s edition of Recruiting With Ross. The idea of an early signing day is nothing new. College basketball has an early signing period for a week in the middle of November (November 11 – 18), roughly 5 months before the normal signing period in April. Basketball recruits can commit and decommit just like football recruits can. Commitments are not required to sign in November just because they are committed. Junior college (as well as early enrollees) players are allowed to sign and enroll from December 16 – January 15. Many current college coaches are in favor of an early signing period, possibly during the same time JUCO players can sign. The current proposal, a three day period during December, has been tabled for another year by the Collegiate Commissioners Association. This proposal was postponed to have a more complete view of the recruiting landscape. If there is an early signing period, what do we do about contact and non-contact periods? How much contact can coaches have with recruits? With this help or hurt the effort to prevent oversigning? All these are fair questions to ask when discussing an early signing period. There are however people who are against an early signing period. Detractors say that an early signing period in December would interfere with bowl practice. An early signing period would interfere with high school playoffs. An early signing period would take away from the actual football season by focusing more on players who aren’t even enrolled at an university yet. These are also valid points. Personally, I am in favor of an early signing period but with a caveat. If a player signs early with a school and that coaching staff is fired, that player should have the ability to opt out of his LOI. While we all would like to think that a recruit commits to a school because he loves that school, that just isn’t the case. Dual threat quarterbacks and skill players commit to Jimbo Fisher, Gus Malzahn and Mark Helfrich because they put up big numbers. Defensive players sign with Nick Saban and Alabama because they know they will play on a dominant defense and have a good chance of playing in the NFL. Offensive linemen and running backs commit to Alabama because they know Saban can get them to the NFL. As much as we would love for players to fall in love with the beauty of a campus or the rich traditions of a particular university, that is simply not how recruiting works in today’s world. An early signing period in December when Junior College players can sign is what I personally would like to see. Signing Day in February is a spectacle unlike any other. I think a December Signing Day would be a unique way to kickoff the bowl season and give each team momentum heading into their respective bowls. I’ll be interested to hear what the Collegiate Commissioners Association and Football Oversight Committee next summer when this topic comes up again. 5-star defensive end Marlon Davidson committed to Auburn over Alabama. If Davidson signs, Auburn will sign the #1 DE for 2 years in a row. Elijah Holyfield, the son of former boxing World Heavyweight Champion Evander Holyfield, committed to the Georgia Bulldogs over Auburn, Tennessee and Alabama. Brandon Jones, the #1 safety in the country, released his top 6. Baylor, LSU, Texas A&M, Alabama, Oregon and Texas all made the cut. 4-star WR Drake Davis was planning to announce his decision between Ole Miss, LSU and Texas A&M after his most recent high school game. After the game Davis delayed that decision saying that he felt rushed and wanted to take his official visits first.